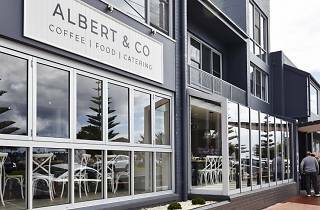 There are seemingly thousands of places in Victoria’s east that serve a good brekkie, but there’s truly nothing quite like Albert and Co. It’s elegant, spacious, delicious and accessible, sitting in the same company as humdrum antique stores, still-flourishing music stores and mainstream banks on Lakes Entrance’s main drag. 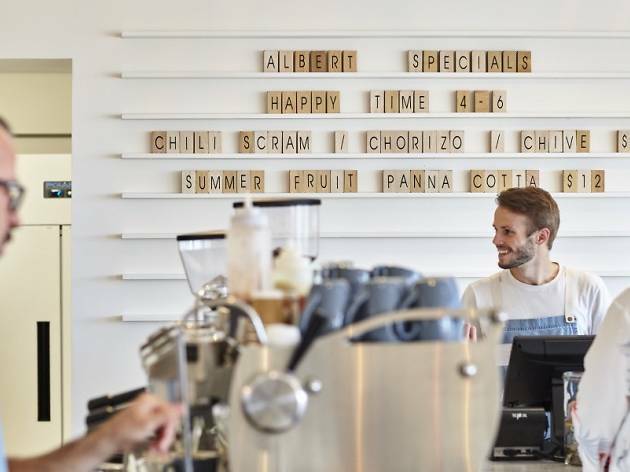 This all-day café serves quality coffee and the type of fare you’d be used to at any hip Melbourne café, but with a nice East Gippsland twist. 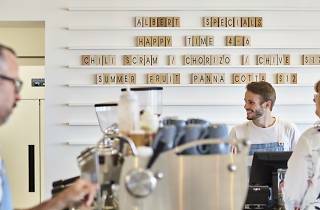 There’s a stellar smashed avo with Gippsland goat’s chevre, a hefty pork burger with sweet onion, thick-cut tomato slices and greens, and smoked Aussie trout served with poached eggs, capers and lemon crème fraiche on fresh sourdough bread. 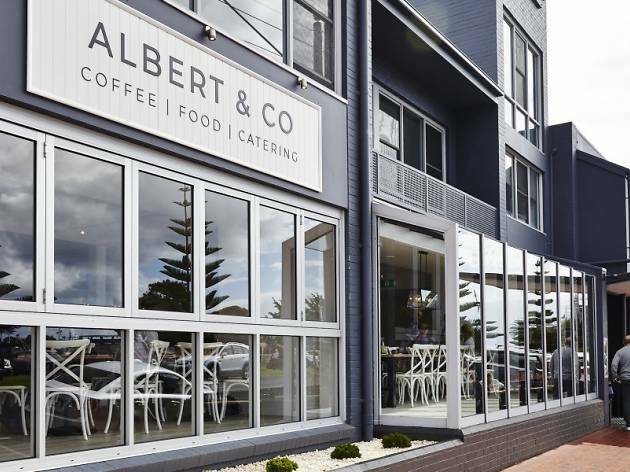 Order the Albert’s board if you can’t decide – it collates all the very best fresh and local produce in one place including smoked and cured meats, housemade flatbread, local Gippsland aged cheeses and pickled cucumber. The café is also beautiful to be in, with all-white Nordic-inspired furnishings and huge waterfront windows. Bring the morning paper and nurse your coffee for a little while.